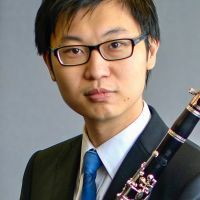 Additional Info: Dr. Darren Ho was praised “one of the finest musicians of his generation.” He received several prizes and awards from Harold Wright Clarinet Competition, Hong Kong Inter-Schools Music Festival, TOYAMA Asian Youth Competition, and Boston University. After graduated from Music Department of the Chinese University of Hong Kong, Dr. Ho moved to North America to further his study. He received Doctor of Musical Arts degree in Woodwind Performing at Boston University and prior to this, a Performer Diploma from Indiana University Jacobs School of Music, both with Dean’s Scholarships. And he holds a master degree at the University of Toronto, Canada. Darren major teachers include Kenny Chiu, Michael Campbell, Joseph Orlowski, James Campbell, and Ethan Sloane. He played in master classes by Karl Leister, Richard Stoltzman, Michael Collins, Eli Eban, Robert Spring, Daniel Silver, Andrew Simon, and Howard Klug. In the North America, Dr. Ho played with different orchestras such as Toronto Youth Symphony Orchestra, Marsh Chapel Collegium (Boston), New England Philharmonic, Boston Civic Symphony, and Boston University Opera Institute. He was a core musician of the Juventas New Music Ensemble, ensemble-in-residence of the Boston Conservatory. Currently, he acts as Assistant Music Officer at the LCSD Music Office, part-time tutor at the Chinese University School of School of Continuing and Professional Studies (CUSCS) and Hong Kong University School of Professional and Continuing Education (HKUSPACE).